Olney doc muses: Eat, pray, love. According to Elizabeth Gilbert in her 2009 memoir, Eat, pray, love, 'we don't realise that somewhere within us all, there does exist a supreme self who is eternally at peace.' Subtitled, One woman's search for everything, it tells of Gilbert's journey to find happiness after fleeing an unhappy marriage by travelling. Initially happiness comes from discovering food in Italy (Eat), then spirituality in India (pray), and then love in Bali (love!). It has sold 8 million copies and comes recommended by Britney Spears, and Elle McPherson ("every woman should read it"... Phew, gets me off the hook). So successful was the book that the 2010 film of the book, with the lead role played by Julia Roberts, grossed over one million pounds on its first weekend in the UK. Not bad for a story described as, 'Gap yah for grown ups', by one Amazon reviewer. It does come across as somewhat trite and offering half truths as mantras for life (oh yes we do indeed have a 'supreme self' but we are far from eternally at peace!). 7 The end of all things is near. Therefore be clear minded and self-controlled so that you can pray.8 Above all, love each other deeply, because love covers over a multitude of sins. 9 Offer hospitality to one another without grumbling. 10 Each one should use whatever gift he has received to serve others, faithfully administering God's grace in its various forms. 11 If anyone speaks, he should do it as one speaking the very words of God. If anyone serves, he should do it with the strength God provides, so that in all things God may be praised through Jesus Christ. To him be the glory and the power for ever and ever. Amen. Three things that all believers are urged to do in the light of the grace of God shown to us. 1. Pray...what a great and simple privilege. All sorts of prayer are encouraged. Pouring out our frustrations, offering up our grateful thanks, praying for one another, asking God to make himself known to our friends and family who may not yet have found a living faith, confessing our needs and failures, mulling over the privileges of being a believer. What a wonderful multifaceted gift is prayer for the believer. 2. Love...out of all the 'one-anothers' so often mentioned in the New Testament, one third of them encourage us to love one-another. And the idea of covering over each other's sins is not a question of downplaying wrong doing but of fostering an atittude of 'there but for the grace of God go I', and not delighting in other's wrongs. Quite a challenge. But that's what loving deeply means. 3. Hospitality..or perhaps, Eat! All believers are called to show hospitality-and especially in this context-to fellow believers. It needn't be of the posh variety, but simply sharimg life and sharing homes and sharing the cup of cold water Jesus urged us to provide the 'little ones'. Taking someone out for coffee or a pint, opening up our homes to each other, wellcoming families, singles, young and old to share in table fellowship, whether crumpet or casserole is just a small token of God's hospitable generosity towards us. 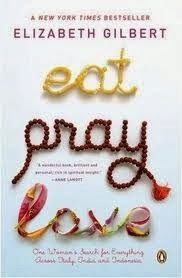 Pray, love, eat doesn't roll off the tongue quite so well as Eat, pray, love, but it has rather more substance coming from the well tried and tested 1st century inspired words of the Bible.